I seriously may have lost my mind! There is A LOT happening in my life right now, and I have been trying to tell myself that a room makeover is not in my best interest for this fall. I’ve held back from big decorating projects lately, but just cannot resist the excitement of the One Room Challenge! So I’m here today to kick off my third round of the One Room Challenge and am eager to get started. 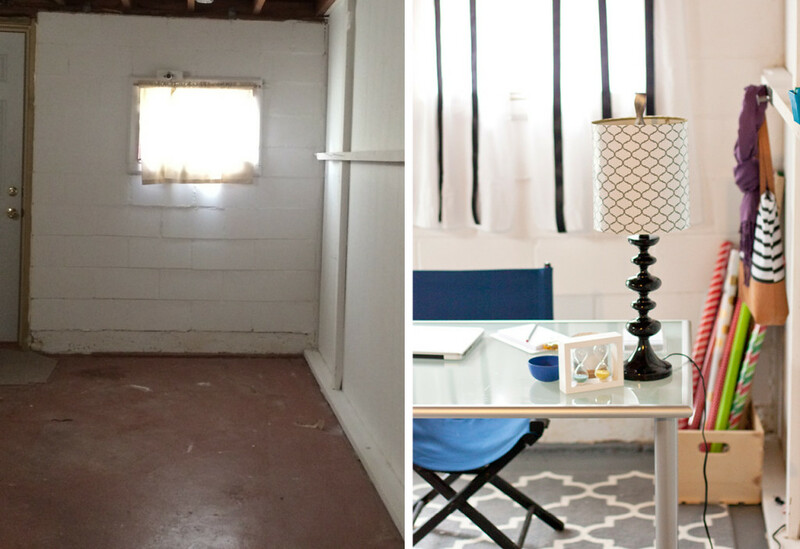 The One Room Challenge is a biannual event hosted by Calling It Home, and tons of bloggers take the challenge of making over an entire room in just FIVE short weeks. You can bet that as soon as I’m done with work today, I’ll be headed straight home to begin painting! There are twenty bloggers officially doing the challenge, and they share progress updates each Wednesday. Then, on Thursdays, anyone else is blogland is invited to share their updates as guest participants. So I’ll be checking in with you and sharing my room progress every Thursday for the next five weeks! 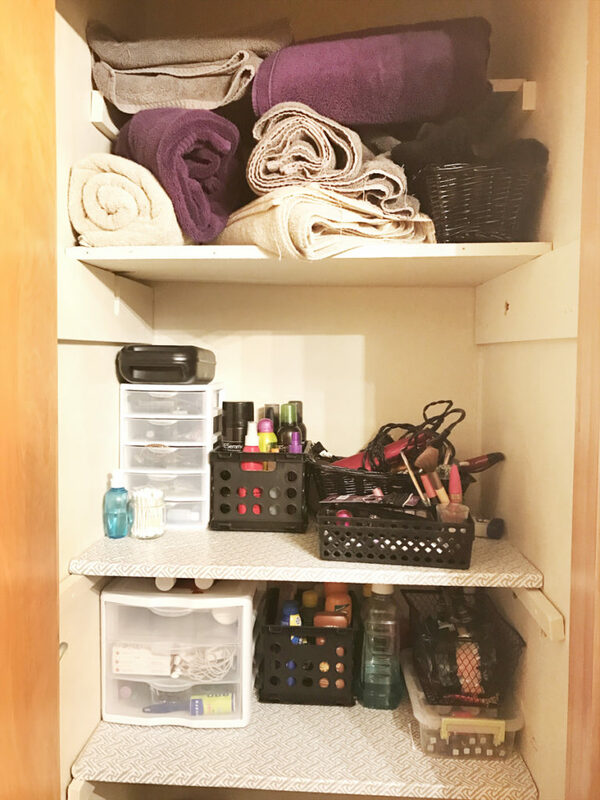 I participated in the One Room Challenge for the first time one year ago and transformed an ugly, purposeless room in our basement into my fabulous, jewel-tone craft studio. Check out the before and afters here. 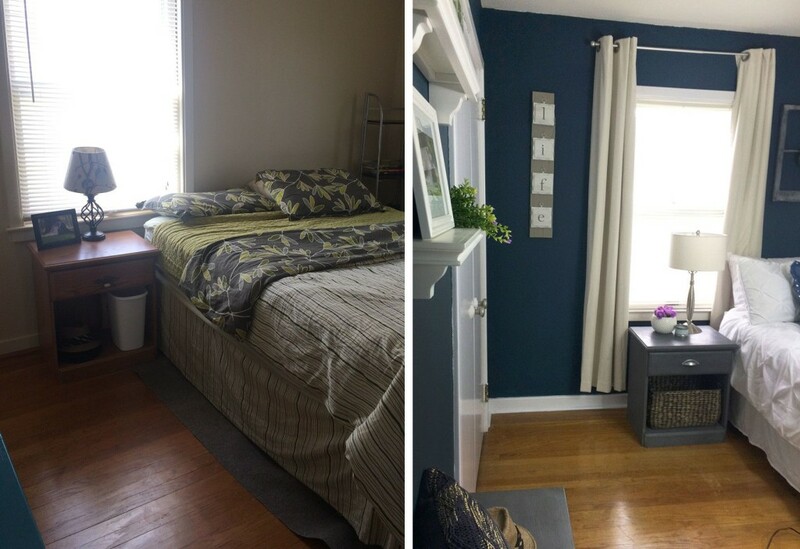 And then I took the challenge again this spring and tackled our navy bedroom, which has definitely become my favorite room in the house Check out the before and afters here. Those rooms were so much fun, and the adrenaline of racing against the clock is a great motivator for focusing my attention on one room rather than bouncing around from project to project all over the house. 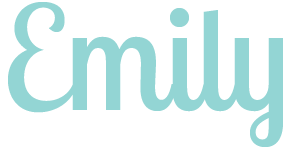 Following the progress of the other blogger participants is so cool, and the final before and afters at the end are definitely worth checking out. It’s amazing to see what others come up with in a few quick weeks. Since I am crazy busy, I am being more conservative with the scope of this room makeover than I have been with my past One Room Challenge rooms. After all, I do blog a lot about time management, so you should know that I’ve put a lot of thought and planning into ensuring I can realistically pull off this room makeover this month. It’s going to keep me super busy, but I’ve decided I can make it work. So here we go! We live in a small house with two bedrooms and one bathroom. The bathroom is certainly not grand, but that doesn’t mean it can’t look beautiful. And right now it is so boring. We haven’t touched this room since buying the house two years ago, so I’m anxious to finally give it some attention. 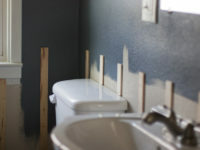 The bones of the bathroom are in good shape, so this room makeover will be entirely cosmetic. The tub, toilet and vanity are all in very good shape. I’m on a mission to slowly cover up every inch of ugly beige wall in this house, so the first order of business will be new paint. 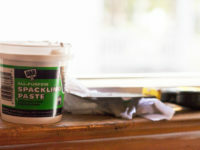 I am extra excited to paint the dated pine cabinets in here. 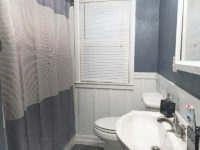 I think new paint colors in this little bathroom will make an enormous difference in the look and feel of the room, don’t you? Although this is a small bathroom, it thankfully has a lot of storage built in. There is a good-sized closet next to the tub, and I hope to redo the shelving in it. 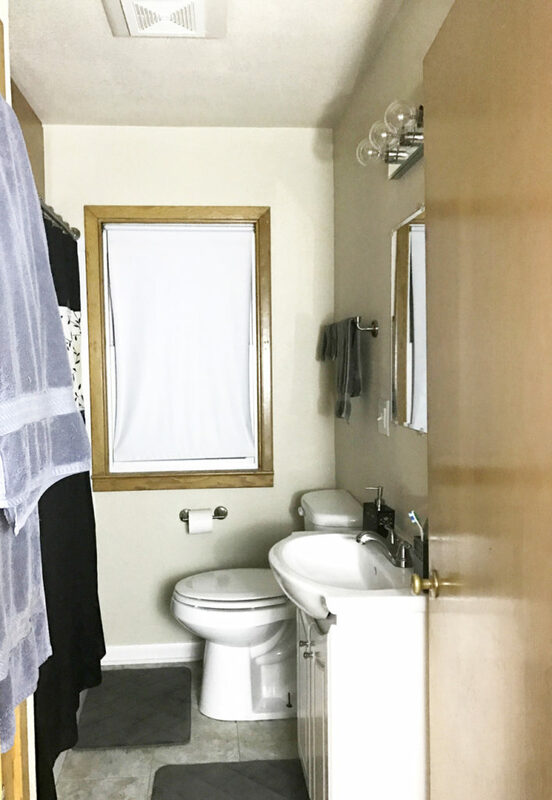 There is a skinny cabinet in between the studs behind the door, next to the sink, as well as two cabinets above the tub. While we have considered removing those cabinets to allow more head room in the shower, we’re not going to tackle that project right now. 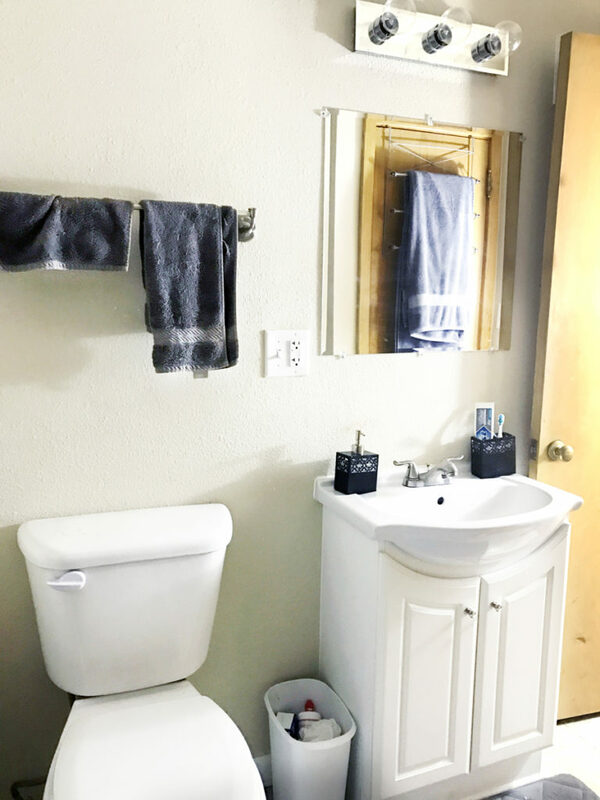 Since we have zero counter space in here, I’m thinking of adding a few narrow floating shelves above the toilet with the lowest one extending over above the vanity to creat a ledge between the sink and mirror. We’ll see how it turns out! Whenever I begin a new decorating project, I start a Pinterest board to collect my inspiration. I have literally been collecting bathroom inspiration since before we even made an offer on this house two years ago. So I had a lot of ideas to narrow down! 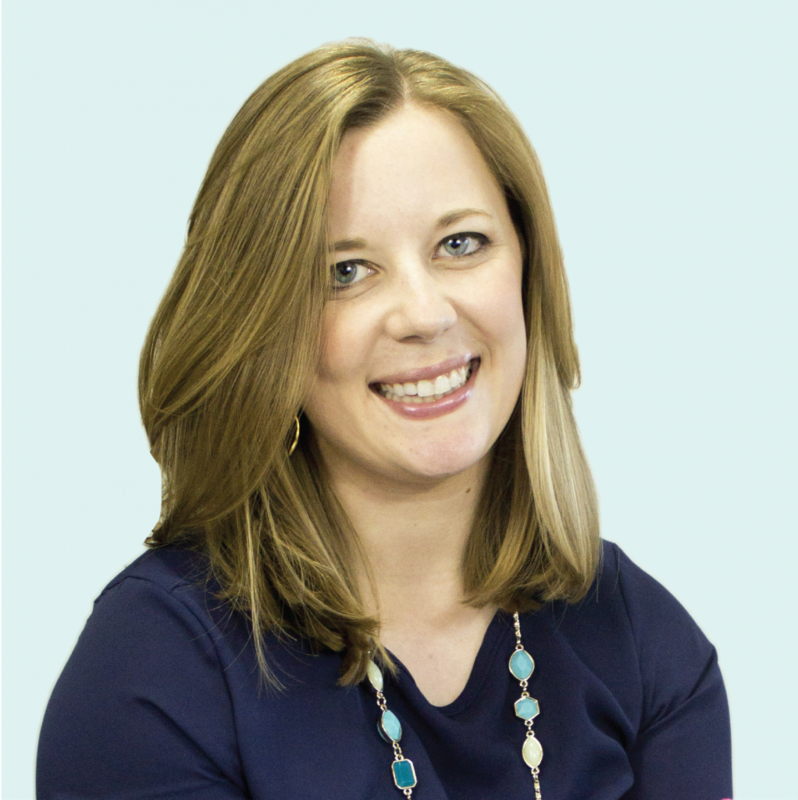 I have found a really good process for planning room makeovers using Pinterest, which you can read all about here. Once I have my final Pinterest board in place, I like to create a mood board that I can print and keep in my purse for reference when I’m out shopping for decor. I always find it helpful to have it handy to refer to so I don’t end up buying all sorts of decor that doesn’t fit the look I’m trying to achieve. I also use Itsums.com to keep track of my budget during the makeover (read more about my budgeting process here). After considering a million different color schemes, many much more exciting, I decided to stick with a classic gray and white color palette. I like the calm yet sophisticated color palette, and think it will brighten up this room and make it a relaxing space. Although I’m keeping the colors neutral, I’m planning to incorporate some yummy texture along with a few pretty accessories. I’m so excited to see how this room progresses over the next five weeks. Even though I’m starting with a pretty solid vision, I know I won’t likely stick to it 100%. Decorating is a process and I find that a room really evolves as you’re working on it, so I try to be mindful of my decorating vision while also still open to changing out details based on what feels right as things start coming together. 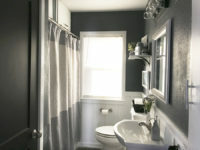 Any tips for maximizing my small bathroom? Do you like the board and batten look? Leave me a comment with your ideas for this room! > Now, go check out what all of the other bloggers have planned for their room makeovers! There’s a ton of exciting makeovers kicking off this week. Yay! I can’t wait to watch you work your way through this project. I loved the last two and I’m sure this one won’t disappoint! Thank you! These challenges are great motivators for working on the house! 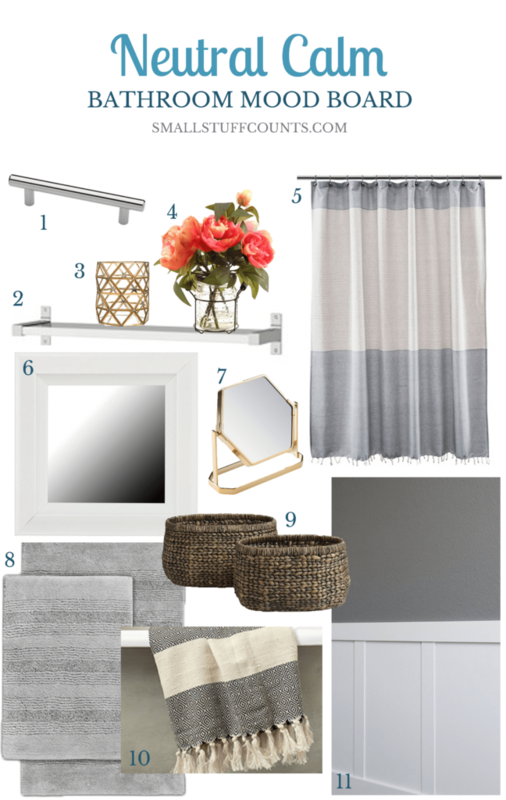 I LOVE that shower curtain, so I can’t wait to see how this room comes together! I may have to even check that out for my guest room… but I think I better stay focused on the office for now. 😉 Love your inspiration board! Hahah Sara, isn’t it funny how watching others’ room makeovers gives us all these ideas for other rooms in our house? It’s so hard to stay focused on my current projects with all of this decorating inspriration in blogland! Thanks for stopping by!